It was an ignominious start for a potentially profound technological revolution. On June 21, 2011, a U.S. Navy MQ-8 Fire Scout robotic reconnaissance helicopter was shot down near Tripoli by forces loyal to then-Libyan dictator Moammar Gadhafi. 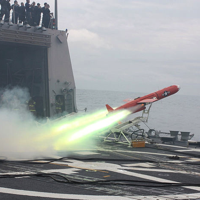 The 24-foot-long, gray-painted drone was one of two launched from the frigate USS Halyburton and remotely controlled by operators aboard the vessel. Carrying classified sensors, the Fire Scouts likely helped detect targets for NATO forces flying top cover for Libyan rebels.